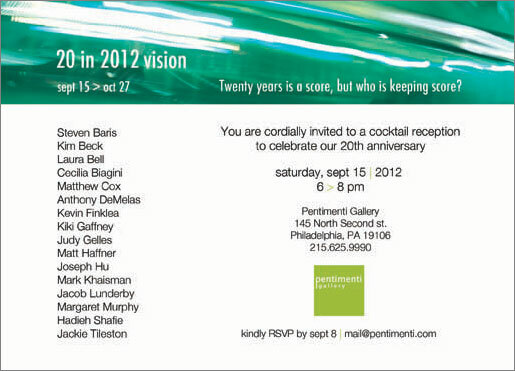 Pentimenti Gallery is pleased to present 20 in 2012 vision in celebration of the gallery’s 20th anniversary. The exhibition features the work of 16 artists represented by Pentimenti Gallery. 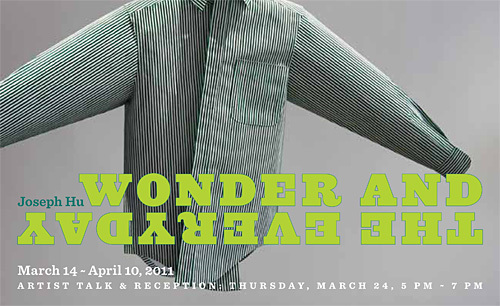 In honor of the gallery’s milestone, the artists have all created new work specifically for the show. Artists were asked to use emerald and/or white as a basic color palette, the colors traditionally associated with a 20th anniversary. The concept of each piece was left to the artist. The open-ended concept has allowed the artists to explore areas they have wanted to explore for some time, creating interesting and unique pieces, for some atypical of their work.